Boeing will build 57 737s per month in 2019; up from 42 per month now, 47 per month in 2017 and 52 per month in 2018. A healthy increase! The show is on now. But initially the site was password protected! Ooch! 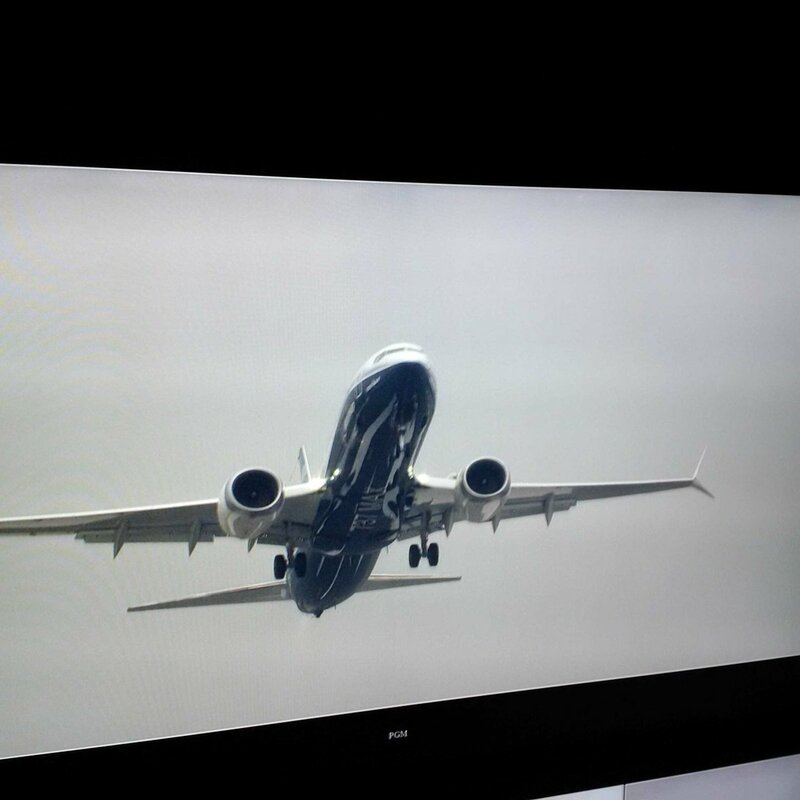 The flight between the plant in Renton (RNT) and Boeing Field (BFI) is expected to last 2hr30min. Perfect landing of the 737-8MAX at Boeing's Paine Field in Everett, after a rainy 2hr 42min first flight at levels up to 25,000ft. How do you like the LEAP 1-B engines? 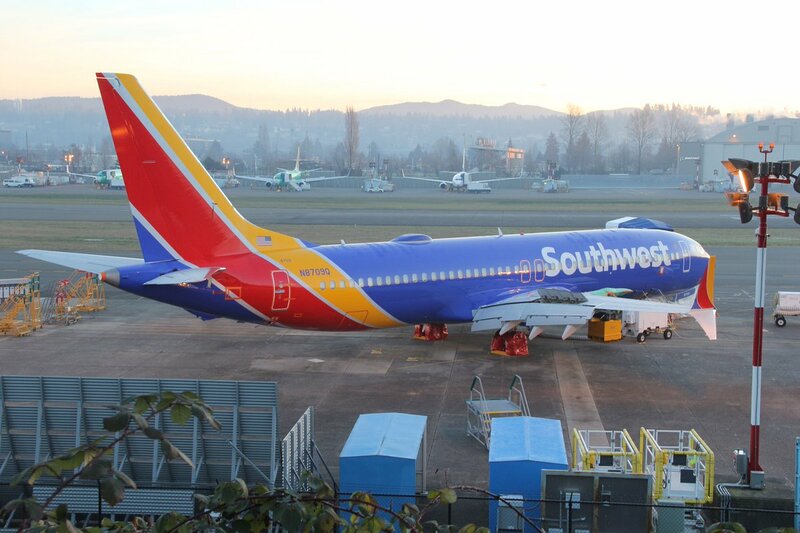 Now still one year of tests before the first delivery to Southwest Airlines in 2017. Boeing may slow down the rate of B737NG deliveries in 2016 due to a demand shortfall in the 18-month bridge to the arrival of the re-engined B737 MAX. 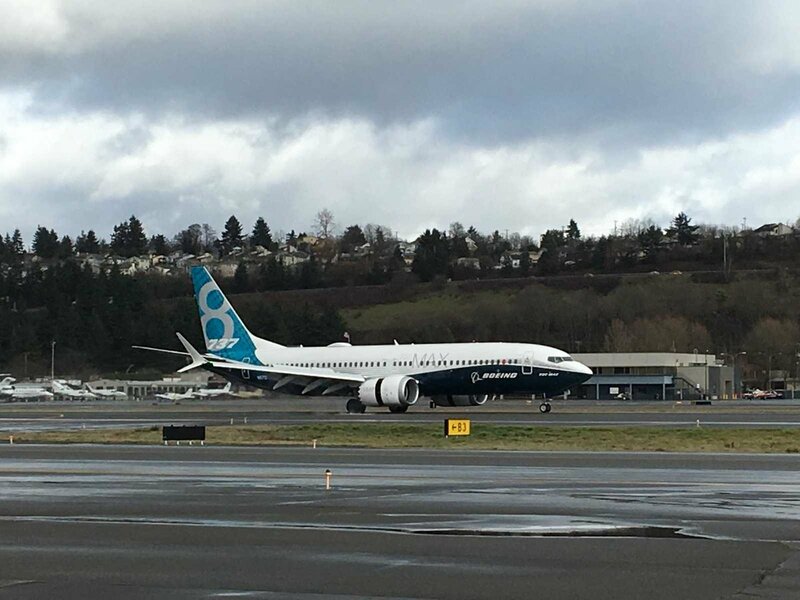 Boeing is now fully backing the development of the B737 MAX 7 instead of trying to convert the only three customers to the MAX 8. (Bloomberg) -- United Airlines is poised to order another $2 billion of Boeing Co.’s narrow-body jets, snubbing newer models from Canada’s Bombardier Inc. and Brazil’s Embraer SA for the second time in a little more than a month, according to two people familiar with the airline’s plans. The third-largest U.S. carrier is planning to add 25 of Boeing’s 737 jetliners after studying Bombardier’s C Series and Embraer’s offerings in the 100-seat category, the people said. United announced a $3.22 billion order for 40 of the Boeing aircraft with its quarterly earnings in January. United has been stocking up on 737s, the mainstay of its domestic fleet, as the airline phases out cramped 50-seat regional jets from shorter routes. The carrier now operates 310 737s, Boeing’s best-selling product. Representatives of the companies declined to comment on the latest fleet move, which was reported first by the Wall Street Journal. United has stuck with updated versions of the 737, which debuted in 1965, instead of adding Bombardier’s brand-new C Series, which has struggled to gain a foothold in the U.S. despite boasts of fuel and maintenance savings. The Canadian planemaker scored a sales breakthrough earlier this month when Air Canada announced its intent to order as many as 75 of the jets. It was said that United got a strong rebate to remain with Boeing. They have historic ties, as United was once Boeing Airlines. United should also buy some 777s at a more normal price. Boeing is studying concept of a slightly larger version of its 737 MAX 7 with more seats and range, in effort to fend off competition. sn26567 wrote: Boeing is studying concept of a slightly larger version of its 737 MAX 7 with more seats and range, in effort to fend off competition. Boeing is considering enlarging the B737 MAX 7, providing more seating. 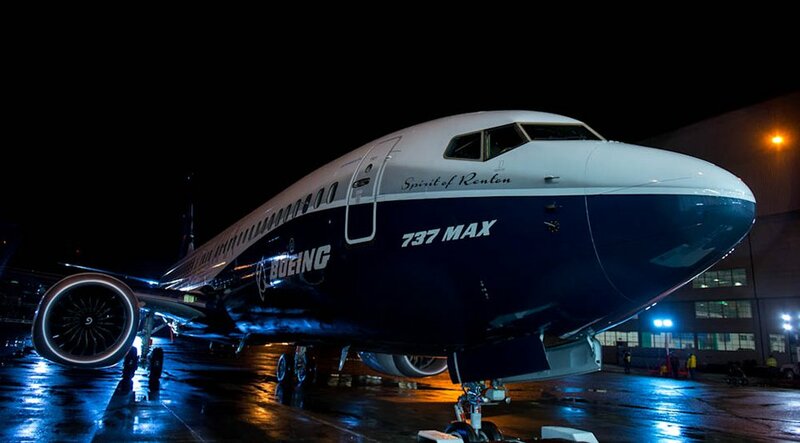 Airplane has been dubbed the B737 MAX 7X. A larger version of the MAX 9 is expected to follow. Lessor AerCap Holdings would be interested in a larger version of B737 MAX 9 if the weight, size and range were right. Boeing has numerous design factors in play, including a longer fuselage, weight, range, seating and engines. 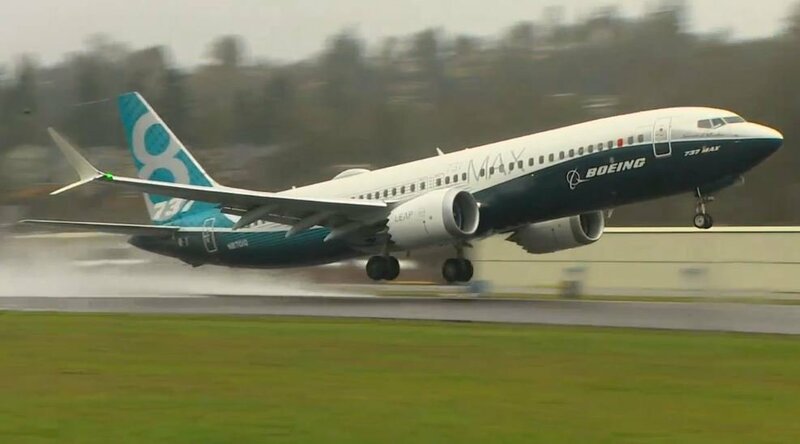 Boeing says all four B737 MAX test aircraft are flying, with a now more than 100 combined test flights. Boeing expects to deliver the first of its B737 MAX ahead of schedule, to Southwest Airlines in the first half of 2017, having previously targeted the third quarter of 2017. Boeing is advancing toward developing an all-new jetliner with up to 270 seats and range between 2,900 and 5,000 nm, that would target flights of up to 10 hours. Proposed new plane would have 2-3-2 seating and enter service around 2024-25. 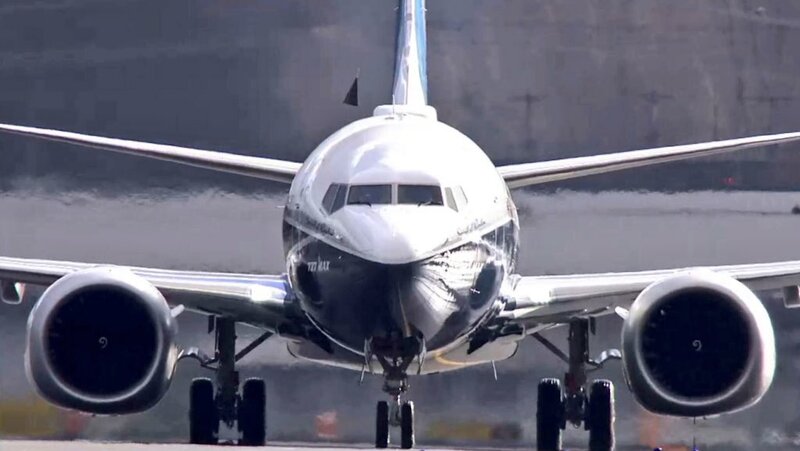 Also, if B737 MAX 10X gets green light, it could be ready around 2021. Boeing and Travel Service, the Czech airline company that operates scheduled flights under the SmartWings brand, have finalized an order for five 737 8 MAX airplanes, valued at $550 million at current list prices.